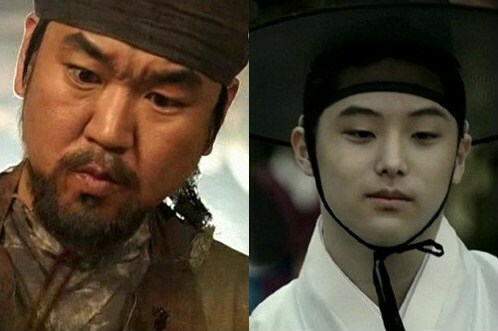 The performance and acting of Yoon Je-moon in the 10th episode of Deep Rooted Tree aired on November 3rd, 2011 has won critical acclaims. Once that plot of the butcher of Pan village in the drama is actually the third generation leader of secret society appeared, the viewers were surprised! The mysterious person who had lways been complicated and confusing had attracted the guess and speculation by the viewers and media, and it turned out the mysterious person is actually Ga Ri On! Originally many netizens believed that the character of Yoon Je Moon in the drama is at best an important supporting role, only as an autopsy expert. And with the revelation, audience has exclaimed the perfect performance of Yoon Je Moon! 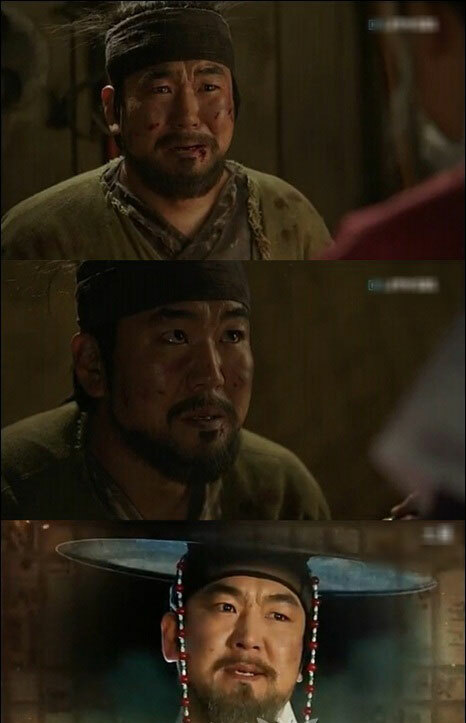 On the show of the day, Ga Ri On who had shown a servile behavior due to the limitation of his identity, suddenly demonstrated extraordinary charm for change of his expression at the moment he revealed his real identity to Lee Sin-jeok (played by Ahn Seok-hwan), surprising the viewers. Ga Ri On who leaves behind his humble appearance is showing strong desire. The transformation of leader is totally unexpected! Although many viewers have guessed that Yoon Je Moon may be the secret society leader previously, but his performance in acting the transformation is still earning praises from audience.